Arlington, VA- January 6, 2009 – IDEA, an electrical industry owned eCommerce service provider, today announced a strategic relationship with Sterling Commerce, an AT&T Inc (NYSE:T) company. Under terms of the agreement, IDEA will now offer B2B on-demand services from the Sterling Collaboration Network, the company’s hosted service that provides secure connectivity and collaboration between businesses. In addition, IDEA will begin integrating Sterling Commerce services into its current suite of products to deliver a broader array of solutions to its customers, specifically in the electrical industry supply chain. Sterling Commerce, recently named among the top 100 largest software companies on Software Magazine‘s annual listing of the world’s largest software and service providers, helps customers thrive in a global economy by connecting their business communities, processes, people and technology. By leveraging service oriented architectures (SOA) and other innovative technologies, Sterling Collaboration Network makes it easier to automate eCommerce/business-to-business (B2B) processes by enabling companies to securely and reliably exchange business documents. Today, it provides connections to over 90 other public and private networks and manages as many as 4.5 million B2B documents per day with more than 99.9 percent reliability. 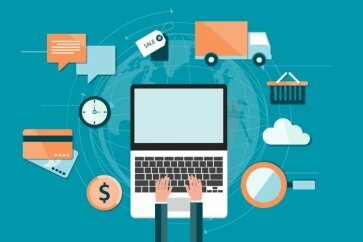 “IDEA is helping companies in the electrical industry supply chain transform their eCommerce business processes, and Sterling Commerce is pleased to be providing the technology foundation that can automate processes that were a challenge to automate in the past,” said Phil Smith, vice president, global network product lines, Sterling Commerce. The addition of these industry-leading offerings expands IDEA’s range as a robust eCommerce service provider. Sterling Commerce also will provide IDEA with training and sales support to drive demand for the solutions offered. Sterling Commerce now joins current IDEA strategic partners Activant Solutions, 1SYNC and DATAgility. IDEA (www.idea-esolutions.com) is the only standard-setting organization offering a full range of eCommerce products and services designed to drive supply network efficiencies, reduce costs, slash cycle times, and ensure standardized, timely, and accurate data. IDEA provides Industry Data Warehouse (IDW), a database of product, pricing, and marketing data; Industry Data Exchange (IDX), a centralized and standardized document exchange solution; Industry Retail Database (IRD) a central repository of manufacturer retail product data powered by CERICOMX® which helps users meet retailer mandates and consumer packaged goods (CPG) and GS1 US requirements; and the Data Audit and Certification (DAC) Program which assures the accuracy and completeness of the manufacturer data found in IDW.